Perspective is a good thing which, I guess, is why Newsweek decided to release a list of the 10 best presidents since 1900. With 18 presidents vying for a spot, each had about the same odds of making the list as they did of getting elected in the first place. However, the stakes were much lower here. People (especially people with history degrees) like to say that the real measure of a great president is his legacy. That’s true; it is hard to know what a president’s impact on the country will be until we see the long term effects. Still, I’m not a fan of ranking the presidents. 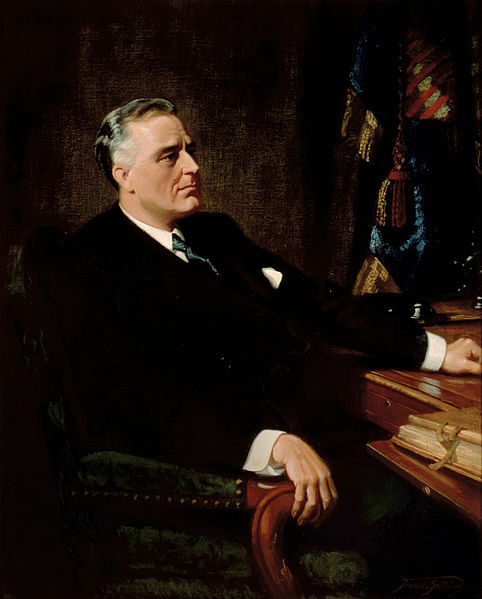 Certain presidents are obviously greater than others: FDR topped Newsweek’s list, and rightfully so. The problems come when historians, pundits, or the general public try to compare incomparably great acts. FDR won World War II, but Abraham Lincoln won the Civil War and freed the slaves. So which one is better? America wouldn’t be the same without either man, so how can one be better than the other? The United States of America has had many moments that have defined its history and character. Singling out one triumph or crisis as the moment that made America the country it is today is nigh impossible. There are other methods of ranking presidents, though. If weighing the relative importance of different historical events is too subjective, why not make it a popularity contest? Instead of pretentious historians, why not leave the decision of up to the people each president has sworn to serve? That would be even more subjective. Frankly, the public may not know enough to make the choice. People live in the present, which is where they need to be to make informed decisions in the 2012 election, but it’s not so good if they’re judging the president from 1912, or 1812. Ronald Reagan made Newsweek’s list, and he was also chosen as the “Greatest American” in a 2004 Discovery Channel poll. Most people think the Gipper deserves these accolades because he ended the Cold War. In reality, other parties deserve more credit. Reagan didn’t make the people of East Germany and the Soviet Republics to overthrow their governments. Historians can be pedantic sometimes, but they have the contextual knowledge that allows them to understand the “big picture” of a president and his time. That’s why Barnes & Noble sells their books. A quality like “greatness” may be too subjective to quantify although, like certain other things, people know it when they see it. That will inevitably lead to arguments over relative greatness, which will lead to a new search for an objective measure. It’s vicious cycle time. Even if there were an objective way to measure presidential greatness, it wouldn’t accomplish anything. We might know that the man who ended slavery is greater than the man who fought World War II, or the man who was president first, but what meaning does that distinction actually have?